Remember that story when I proposed to Vince with the Sony Playstation 3? Well, here's another Sony story. 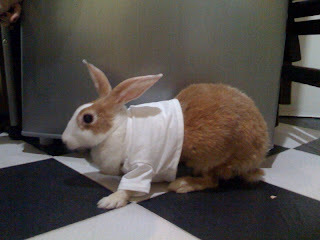 Because we have rabbits, we are quite fond of this Bravia TVC. Of course, it helps that we watch it on our very own 32" Bravia TV. 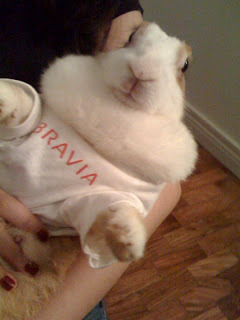 We're fonder of this Bravia Bunny, however. Isn't Galadriel the cutest ever??? 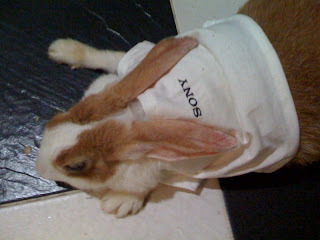 Our rabbits are Sony bunnies! Oh, and my two phones are sturdy Sony Ericssons, my SLR camera is a Sony Cybershot, we read books on the Sony eBook Reader, we fight over who gets to play with the PSP, and of course, Vince plays with his PS3 games and I exercise to aerobics videos played through the PS3, too, on our beloved Bravia. Yep, we live in a Sony world because we really were quite impressed with the Bravia. It definitely gave significance in my life just like the Sony's World's First Noise-Canceling Notebook Computer, the VAIO T Series, which is what I'm salivating for lately because I want to blog anywhere and everywhere and in peace! Re your comment to me -- I MUST see a photo of your pink tree. Sounds awesome. 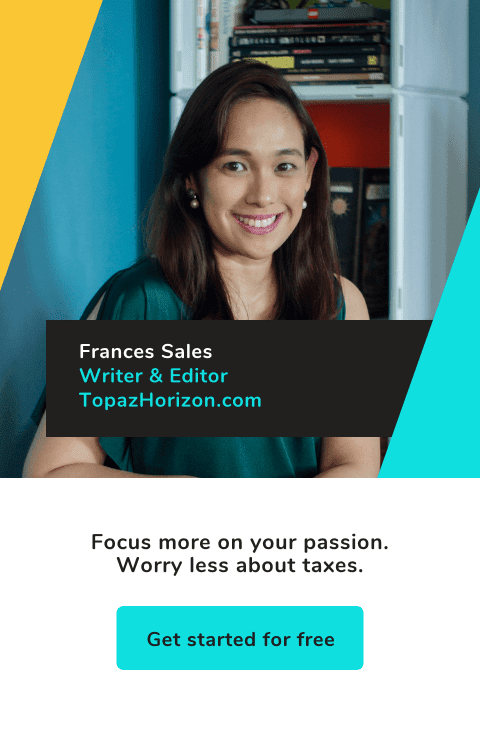 Ms Frances, di ba mabilis magmultiply rabbits nyo? Sooo cute. May fat collar pa siya. p.s. Pls feature more of Twilight at OK. Love the feature on your latest issue. Can't wait for the movie. Wendy, the top of the tree is just visible behind me in the last pic. 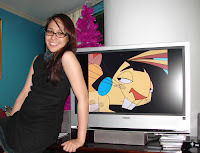 And isn't it funny my Bravia Bunny post's TV also has a bunny on the screen?